I remember back in 2013 when Google unveiled Hangouts, it was a breath of fresh air. Finally, a true cross-platform integrated messaging program to compete with iMessage and BBM. 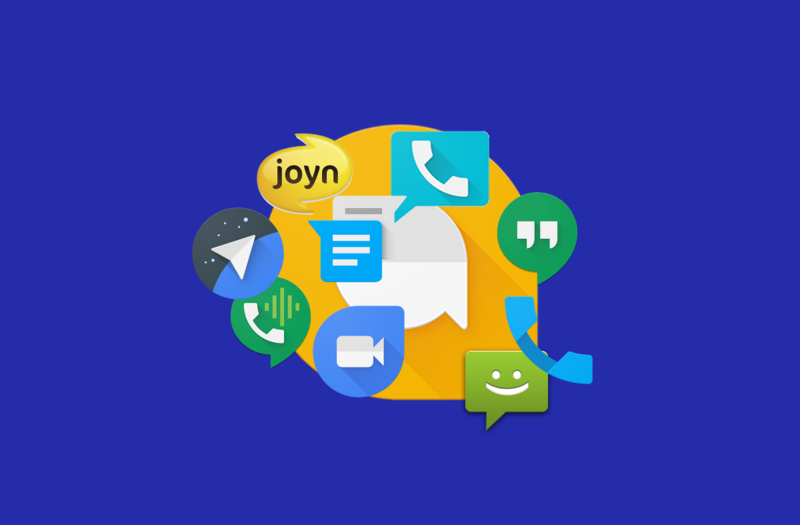 Finally, an easy way to integrate SMS, Google Voice, and all the bonus features that come with instant messaging into one app, which would sync across all my devices and seamlessly transition between SMS and data when necessary. 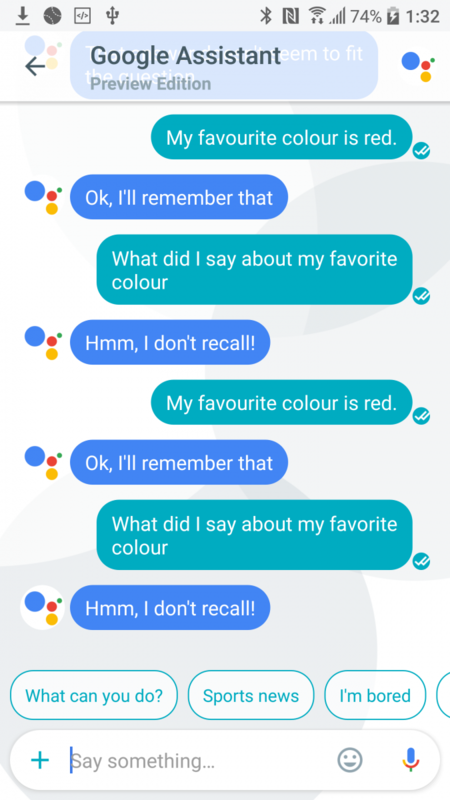 Unfortunately, that wasn’t quite the case, and Allo appears to be the final nail in that coffin. Before announcement, Hangouts was hyped as being the cross-platform competitor to BBM and iMessage. It was expected to seamlessly transition between SMS and data messaging (which ended up not being entirely true), would sync all your messages across all of the platforms that you were signed into (once again, partially correct), and would come pre-setup as the default SMS app on all devices with Google Play Services (it came pre-installed, but usually not as the default SMS app and Messenger was kept around) guaranteeing some market share in the same way that iMessage and BBM achieved theirs. Unfortunately, pre-announcement hype has a tendency to overestimate the capabilities of the product in question and we didn’t quite get those features, but Hangouts did lay the foundation for them. No, Hangouts didn’t allow you to send texts through your phone from your computer, but it did eventually allow you to send texts through Google Voice from your computer (and at the time we were promised that there had been a renewed effort to bring Google Voice to other countries). It was cross-platform, was semi-smart about what method you use to reply to people, it had a single thread for any conversation with anyone, and at least it synced your Hangouts messages across devices (if not your texts as well). It wasn’t perfect, but it was a solid start. Unfortunately, there’s been a shift inside of Google. The push for a unified messenger has ended, and instead we’re seeing a fragmentation of platforms (actual fragmentation, not the buzzword that we often see thrown around). Merged conversations are gone from Hangouts. Users are being recommended to switch their SMS usage over to Google’s Messenger. Google is launching a second instant messaging app in the form of Allo (which can kind of send SMS to certain numbers) and a second video conferencing app in the form of Duo, while keeping Hangouts alive, and they are currently isolated from each other despite being advertised in unison. Google has been silent on Google Voice for a while. Google Spaces just launched this summer. 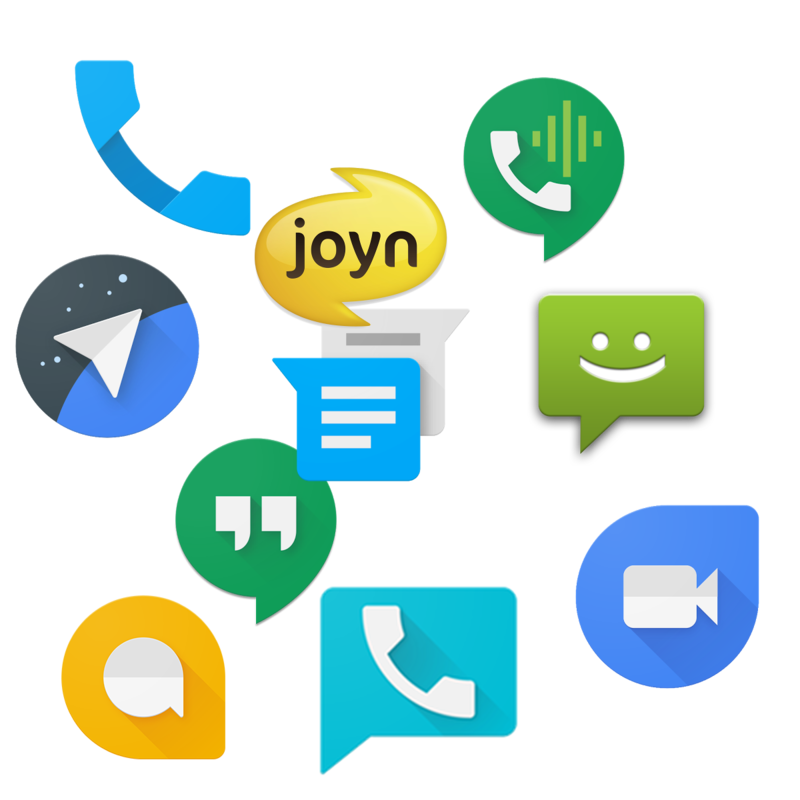 Oh, and they’re also pushing for a replacement for SMS called RCS/Joyn/Jibe, which is expected to do enhanced calls, texts, and video chatting straight through the carriers, and is expected to need its own app as well. That’d be six communication platforms where we were supposed to have one (seven if you count the phone app, eight if you count the Hangouts Dialer). Six apps that not everyone will be signed into. Six apps that not everyone will have installed. Six apps that you’ll have trouble finding your friends on. Six apps that you aren’t going to be able to convince your friends to join or adopt (not this time at least). All the talk seems to be about how Nexus phones lack the market share to force adoption or how Apple has separate apps as well (although if someone has the texting/instant messaging one, they’re pretty much guaranteed to have the video chatting one as well for Apple), which are both fine arguments for why Google needs to work with OEMs and carriers to implement a universal standard (like RCS/Joyn/Jibe), but don’t really explain the decision to add Allo and Duo beside Hangouts. It also doesn’t explain how Google intends to force adoption if you need to access Allo and Duo to sign in for the first time on a device, when many people will have no reason to use those apps (as their messages are elsewhere). The inconvenience of having multiple apps in and of itself is problematic as well. Switching between apps on the homescreen is easy, but it doesn’t help you with figuring out, and later remembering, which platform your friend/colleague/teammate/crush/etc. is on, and it definitely doesn’t help you keep everything you said to them in line (especially if you talk to someone on multiple platforms). Having to switch from chatroom to chatroom is also less convenient if your contacts are spread around multiple applications, rather than one “back” press away. Speaking of your chat history, it still shocks me that Google is having so much trouble with the search function on their messaging apps, but I digress. This isn’t just an issue with the current implementation that will eventually be fixed, this is a mentality issue. The project lead for Allo is outright arguing that because Facebook has Facebook Messenger, Whatsapp, and Instagram, that having more apps is better. He’s arguing that Facebook won’t merge their messaging platforms, even though the only reason they’re currently separate is because Facebook bought Whatsapp (rather than creating multiple platforms), and the writing is on the wall for the eventual merger of user bases, with Whatsapp announcing last month that they will begin sharing user data with Facebook, with intention to “coordinate more with Facebook in the months ahead”. Facebook might be doing exactly what Allo’s project lead thinks the market doesn’t want. They’re likely doing what Allo’s project lead thinks that they won’t do. They’re doing what the market is seemingly asking, and making it easier to reach people by consolidating. They’re trying to become the universally accepted standard, and Facebook seems to be succeeding at it with their proprietary service (rather than an open standard like RCS/Joyn/Jibe). They have a critical mass of users, and then some. They realize that people want to go to the messaging platform that their friends are on, and that is easy to use, something that Google seems to be missing. 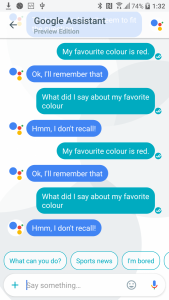 Assistant, the flagship feature of Allo, the feature that Google has been holding up as the feature that will make Allo a first class messaging app, is still quite buggy. It occasionally struggles with basic commands (even the ones that it asks you to test), it has reduced usefulness in chats with other people as it doesn’t allow you to use all the same commands as you can one-on-one (even just to show the information only to yourself), and it can quite quickly derail a conversation as its responses can often take up the entire page (if not more). Even basic features like muting a chat don’t work properly, with the app still making noises to notify you of new messages when you’re actually in the chat. Even worse, the project lead knows it, and didn’t act to prevent it. They went ahead with launching on the last day of summer to hit their “Summer 2016” release date (which breeds mistrust in release dates, but that’s a whole other topic), and is trying to assuage people’s’ concerns about the issues with promises of frequent improvements, like Chrome. If the initial experience is less than stellar (or just terrible) in such a competitive market, people will forget about it and uninstall it, and likely not give it a second chance later on when it improves. There are too many powerful, widely-adopted alternatives to fall back onto anyway. Google seems to not understand just how important achieving that critical mass is for anything social (whether it be a messaging app, or a social network), and it’s destroying their attempts at creating something that they have shown hints of having the potential to do extremely well. Author’s Note: We forgot about Google Spaces, but you probably did too. Steven grew up wishing he could take the internet everywhere with him. His first smartphone was an HTC Legend, and he's been tinkering and playing with Android ever since. With a background in accounting, he strives to bring a unique perspective to the tech journalism world.